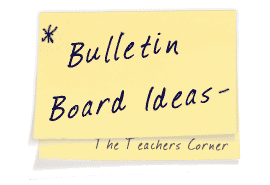 Our Bulletin Board Ideas by Theme pages provide you with resources to help display your students' learning while keeping your classroom walls looking great all year long. Within each theme you will find fun and educational resources that are specific to the various topics covered within that theme. Several of the bulletin boards even include photos. Make your students feel special on their special day. Faith/Religion based bulletin boards for church or Sunday school. Promote the unique qualities of all students. After the events of September 11, 2001, we could all use a little more of this! "The biggest risk is not taking one." Fun sayings to help you create bulletin boards. Help your students work together.